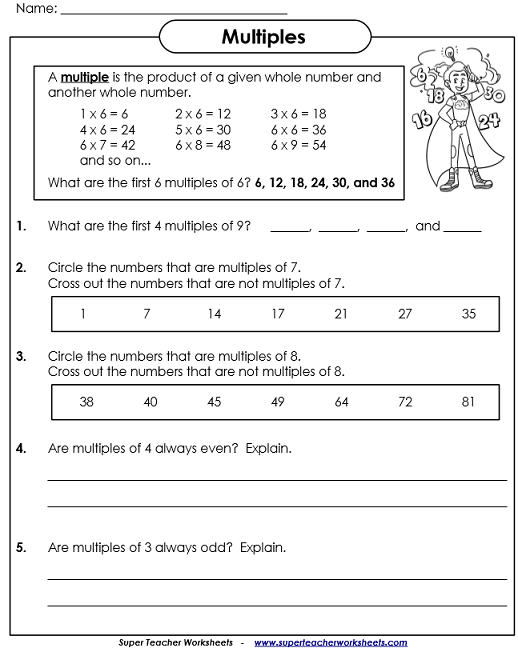 On this page you'll find a collection of worksheets for help you teach students to find multiples of given numbers. 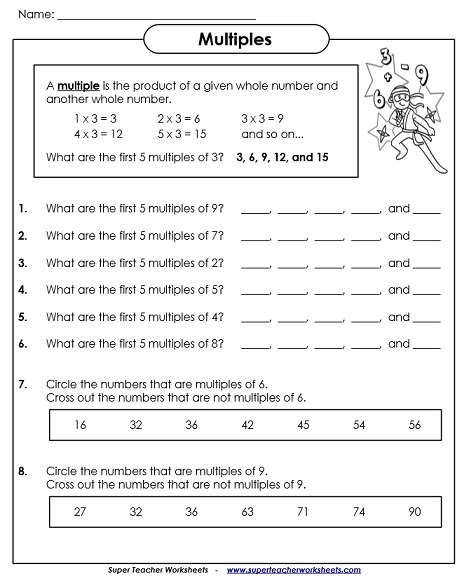 On this printable, students will list multiples of numbers. Then there are two short answer questions. This is similar to the other Venn diagram worksheet except it includes more complex versions of Venn diagrams. Part 1: List the first five multiples of the given numbers. Part 2: Circle the multiples of the given number. Find factors of numbers, as well as the greatest common factor. Here you'll find worksheets on calculating the least common multiple, or LCM.